Stamps and Stitches: Happy Easter! Here is the obligatory Easter egg basket I made this year. I should have made more than one but I didn't. This is it. One egg fits perfectly but 2 will probably end up being crammed in there. This is simply adorable! Just perfect! Hope you have a wonderful Easter! The basket turned out so cute! I love that you can put just one SPECIAL egg in there :) Happy Easter! Awww this is so sweet. So so sweet!! This is a gem! OMGee! Gale this little basket is too stinkin' adorable! Love it! 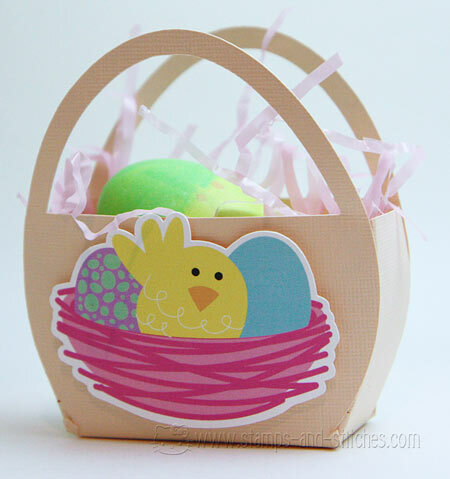 what an adorable Easter basket. That basket is soooo cute. How did I miss that?